Cut the tops off the beets, wash and cook them, I usually do this in a canner depending on the amount of beets I have. Put enough water in pot to cover the beets. They are are done when poked with a fork and are tender. Drain beets reserving the water they were cooked in. Let the beets cool enough to handle them. I put them in cold water to hurry the process. Once cooled enough you can peel them by hand as the peel slides off easily. Messy job but so worth it! Wash and rinse your jars. Cut up peeled beets in pieces to fit your jars and fill each jar. Leave small beets whole. Place a bay leaf on top of the beets in jar. Then cover with hot brine and seal. Cook until it comes to a boil and the sugar is dissolved, stirring often. If you are doing a large amount of beets you may have to cook more of this brine, I start with this amount and if I need more I cook it as I go along. Put jars in canner with enough hot water to cover the jars, and cover with lid. Place canner on the stove, turn element on high and when it comes to boil turn down the heat to medium heat, water should still be bubbling and process for 20 minutes. Remove from heat and carefully lift jars out of the hot water and place on a rack to cool. Once cooled a bit make sure the lids are screwed tight. You will hear popping sounds which means your jars are sealing, you will see the lids are indented and then you know they sealed. If some didn't seal wait till the jars have cooled down completely then refrigerate and use first. These store well in a cool dark place. I know there are recipes for pickled beets with more spices but this is the recipe my Mom always made and it is my favorite. I love to eat these beets with pasta dishes but they can be enjoyed with any meal. I make sure that my pantry is always stocked! PS...if you like beet jelly, save the extra strained beet water for that. My Mom sometimes made this jelly as not much was wasted in those days. It is actually quite tasty on toast. betty i love canned beets, i could eat a whole jar....when we were visiting in paraguay they served them alot and because i loved them so much ate my far share. well it doesn't take alot of beets to change color in other things and i thought that i was bleeding internally.....our friend that we stayed with is a dr..immediatly he checked for parasites or something to find nothing unusual, thank goodness and realized it was all the yummy beets. it took us a few days to figure that out though. we laughed so hard about not figuring that out sooner since the doc himself was serving the beets...lol. Wow, that was too much information! Rule number one - never talk about "other things" on a food blog! If this is information overload then I kind of feel bad for you. This blog only had the information needed to make these pickled beets, and it was well written. I will be making these as soon as I get my new jars! When my son was very young, his babysitter introduced him to pickled beets and he loved them...still does. He was barely three years old when, one evening, I noticed that he was peeing red. Before I started to panic, I called the sitter and asked if he'd had anything that would do that. Her response was, "Well, yes...the little pig ate half a jar of pickled beets!" Beets can also be used for borsht as well, both the root and leaves...then there are the buns you bake wrapped in beet leaves and serve with a cream sauce. I'm chuckling too Charlotte..and if you don't have friends who have extra beets listen to Trading Post...there are always people wanting to get rid of theirs. That may mean a trip to my city but that's okay..my coffee pot will be on! Oh Betty...I am so hungry for these. Thanks for posting. I think I will try my first 'canning' this year! This looks easy enough. Charlotte...you crack me up. I think we all have had a similar experience. But where to get beets? Yep Betty....that is a LONG way to go. Maybe a farmer's market near by...will keep my eyes open. Hey dear sister, thanks for the recipe...I never got it from Mom. Oh by the way, extra jar for me??? Yes sister, I will have some for you! Thanks for commenting..when are you going to share some of your fabulous recipes?? wow charlotte that is a funny story. i have been lurking on this blog for awhile and it feels like you girls are family, so why not share your story. i liked it and it made me laugh, having had similar experiences....lol. I love this blog and have been lurking her for quite sometime too! So I gave you an " I love your blog award" on my blog. Mainly because I want to share you with my friends!! Thanks for all your contributions, of amazing recipes!! now I'm hungry for a beet pickle. These pictures are so persausive aren't they? oh Charlotte. . you are a hoot. I rather like beet pickles...but my son-in-law prefers I keep them in my pantry! My recipe looks like this, but has a few spices as well. I canned 40 pounds of beets this summer - don't ask me why I find it relaxing but I do! 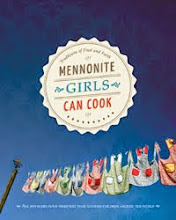 I'm not Mennonite but I live in among Mennonites and my oldest son married a wonderful Mennonite girl. I love her with all my heart! Any way, I love your recipes and I wonder if you could share your recipe for Beet Jelly. You said it tasted good on toast and that has awakened my appetite. 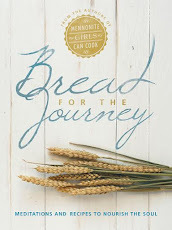 God bless you ladies for sharing your wealth of traditional recipes with the world! Finally, I've been searching for this simple recipe for pickled beets a long time! 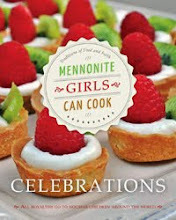 I searched through the mennonite cookbooks and could never find it. I knew I wanted the pickled bees that had no other seasonings in it, no pickling spice, no cloves, I figured it would just be a vinegar/sugar brine I just needed to know the ratios. It took me googleing "mennonite pickled beets" before I found your site on the first try. thankyou! I'm with ya Menno girls, keep it up! We can cook !! I too love pickled beets and the last commenter gave me the push to make my own. I made some up about a week ago and have been enjoying them ever since. Thank you for posting your recipe. Thanks for sharing! Also thanks for adding the part about making jelly. I had never heard of beet jelly but am making some now. I was wondering if there was a recipe for your beet jelly?! I ended up with quite a bit of beet water left and would like to try it!! I was unable to find a recipe on your site though!! http://www.mennonitegirlscancook.ca/2012/08/beet-leaf-rolls.html Here is the recipe for the beet rolls, there are variations of this recipe but this is how I make them. Hi, I am new to canning and perserving. I didnt grow up in a home where my mom canned or perserved. I grew my very first garden this year and decided to pickle my beets today. Thank you so much for sharing your recipe. It turned out so good. I love your easy to follow directions. Cant wait to try another one of your recipes. Marsha, thank you for getting back to me and I am so happy that the pickled beets turned out well for you. It is good to hear that you are growing a garden and preserving. They are a favorite at our house. We love to eat them with pasta dishes. I've made my pickled beets and now I have all this beet juice that I've saved for beet jelly. I'm curious to see if your recipe includes the grape Jell-O or raspberry Kool-Aid. I don't understand this ingredient and I'm hoping someone has a recipe to save me from that ingredient. Why oh why would I want to make beet jelly that doesn't taste like beets?! Would you care to enlighten us with the recipe? I googled it and found one on food.com!! super easy and super yummy!!! Oh that is good. I have always used raspberry jelly powder but it does over power the beet flavor. I may have to try just using beet juice next time. Thanks for a wonderful (and so simple) recipe!!! Ive looked high and low for this very recipe, my Mom made the best and she is not here to tell me how. I do remember that she put a cheesecloth bag with allspice in hers though, would this alter the recipe by much? It will change the flavor but you can use other spices. It depends on what you are used to. My Mom only used bay leaves so that is how I learned to make it. Beet jelly using Lemon Kool Aid gives you a jelly strongly resembling Pincherry . From Jean Pare in her Company'sComing preserves book. I like my beet pickles with out spices too.